Life has finally settled down after returning from Con of the Rings and holding our Austin Fellowship event, and days have resumed more familiar rhythms. 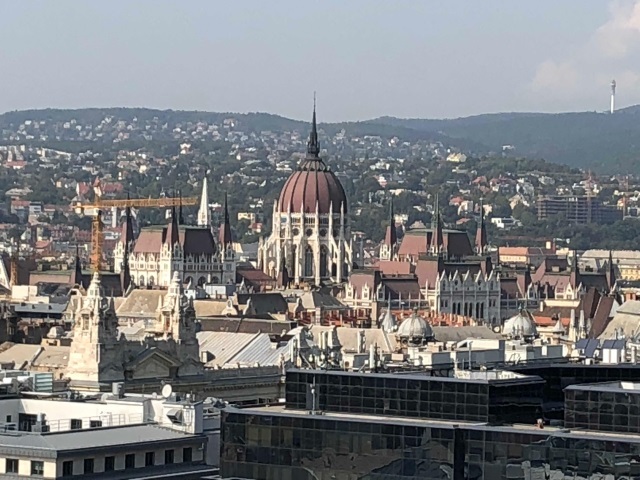 The time has allowed me to sort through vacation photos and gather my thoughts about our recent trip to Central Europe. Travel influences us in subtle ways, and it is interesting to see how my perspective on life in Austin (and America at large) has changed since my return. While the external trappings of culture can be obvious, it also informs us in subtle ways – many of which are invisible to our consciousness. These subtle differences are just one of the reasons why travel is so interesting. We are in a very literal sense, re-contextualizing our cultural existence when we spend time in countries far from home. A good example of these changes is in our daily routine. Everywhere along our trip, I tried to establish the same morning pattern: walk to a cafe, order a cappuccino and a fresh baked bread or pastry of whatever sort is popular in that region or city. As simple as this might sound, it differs from the morning routine that I have in Austin. America does not prioritize having bakeries and cafes within walking distance of residences. For that matter, Austin specifically does not prioritize walkability, so the prospect of walking to these activities from my house is highly impractical. It’s funny how such a seemingly minor change in habit can have a noticeable impact on one’s outlook to start the day. I found that by starting my day in this way, something which was easily facilitated by the cities we visited, it put me in the perfect frame of mind for new experiences. For those who are interested in reading about Lord of the Rings, the book or the card game, you will find this article light on such content. As my interactions with the community continue to remind me, the world is filled with friendly, intelligent, and interesting people, who just so happen to be fans of Tolkien’s books and this game. I suspect that many with a sense of adventure and an interest in other cultures will find something worthwhile in my travel tales. My knowledge of Hungary before visiting was limited to vague impressions and half-remembered stories from the first World War. A good friend visited Budapest several years ago and gave it a glowing recommendation. The Pearl of the Danube exceeded my expectations. It is far and away one of the most beautiful cities I’ve ever visited. For me, travel is about curiosity. I want to understand what is unique about a place, the heart that gives it life. While the most iconic aspects of a city are not always my favorite parts, they make for a good starting point for getting to know a city. Now I understand why the baths of Budapest are world famous. The architecture in Budapest is magnificent. 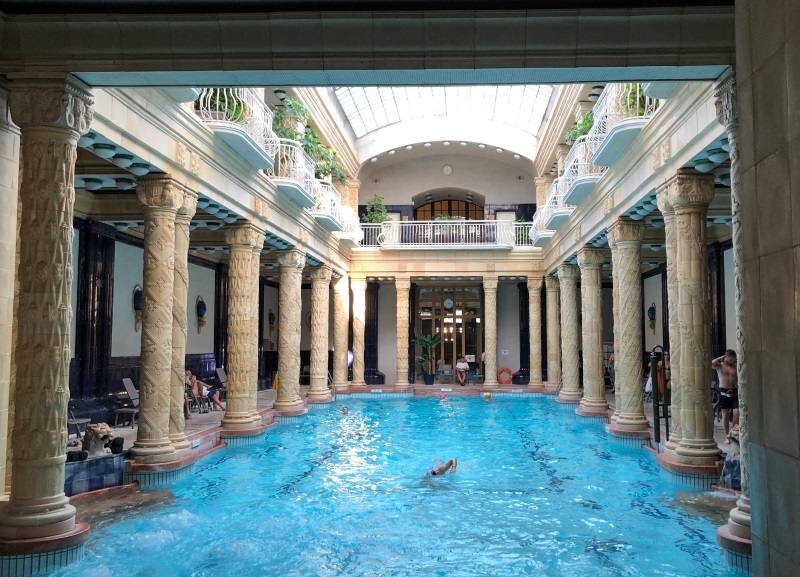 Pairing such magnificent structures with crystal clear water, fed from natural springs, makes the baths of Budapest a singular beauty. After so many hours of stuck on an airplane with coughing people and screaming children, a nice long soak was just what we needed. 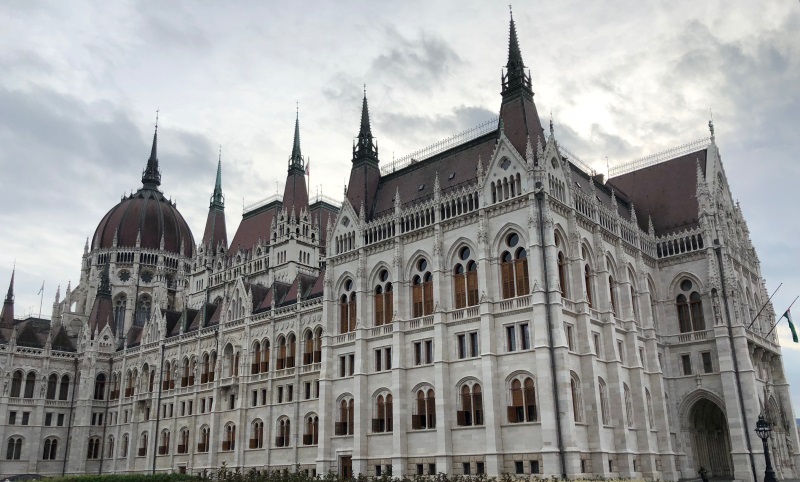 The buildings of Hungary are a constant reminder of an older empire, when the Magyar were at the center of European politics and Budapest was known as “The Heart of Europe”. Seeing all of this grandeur, along with ample evidence of the passage of time, I could not help but think of Minas Tirith in the Third Age. The city is still a sight to behold, but one inevitably wonders what it must have looked line in its youth. No trip to Hungary would be complete without a taste of their signature dish: Goulash. A savory stew of meat, paprika, and other spices, Goulash is popular throughout Central Europe. Each region has its own take on this traditional dish, and in any form it is one of my favorite meals. Visiting in the Fall was perfect, as delicious hot stews are the perfect meal for the weather. 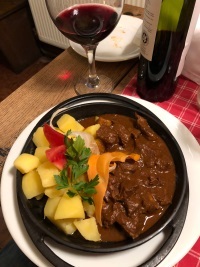 While I enjoyed the Goulash, it was a different dish which surprised and impressed me: a traditional Hungarian meal known as Paprika Beef. Hungarian food is a must for anyone who likes savory meals, particularly stews and soups. At the end of our sojourn through Central Europe, we had the pleasure of returning to Budapest for a few days, just before returning home. 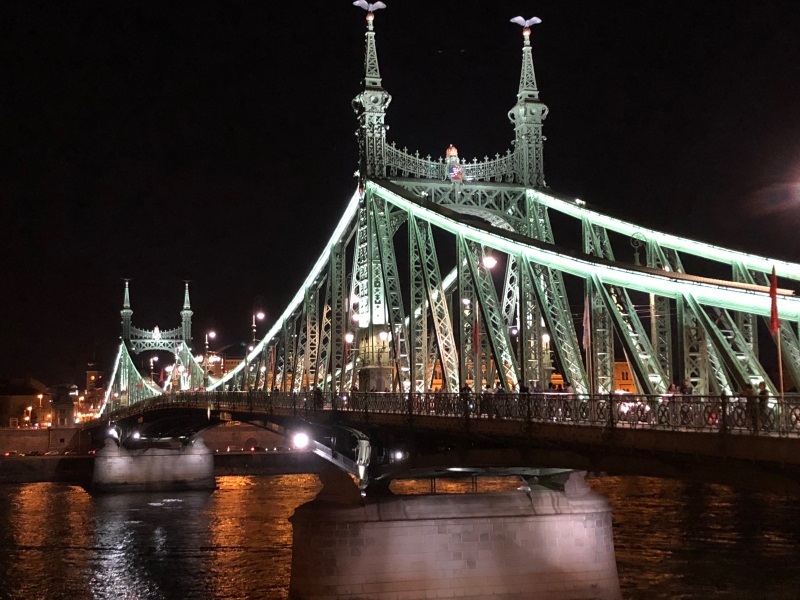 On one of our last full days there, we took the train from Budapest to the city of Veresegyház, and had what I would describe as a true adventure. 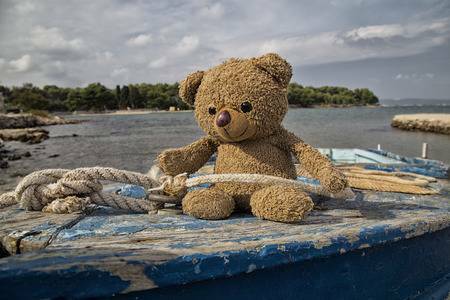 There’s nothing quite like getting lost in a foreign country, particularly when you don’t speak the native language. I say this without pride, as learning to speak some of the native tongue is something I prefer to do, but Magyar is a notoriously difficult language to learn. Having already been to Estonia some years ago, I had an inkling of the difficulty of this esoteric language family. 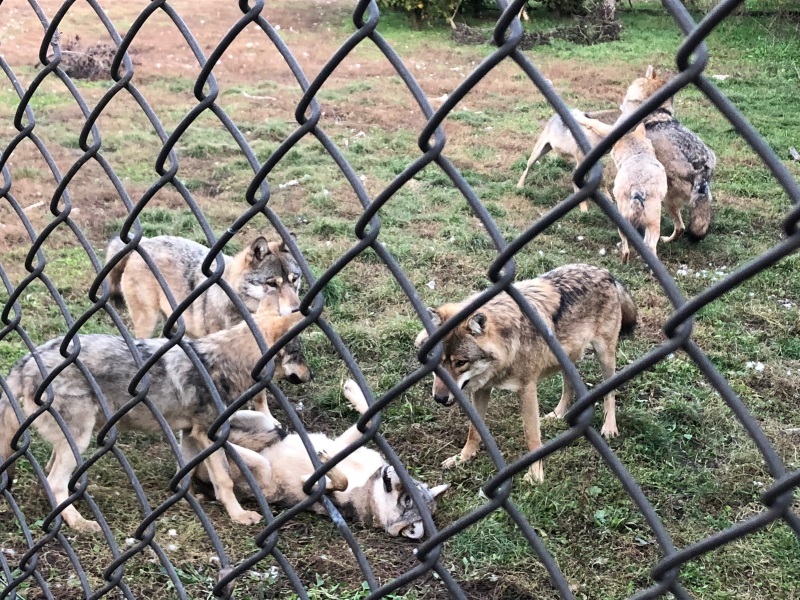 In any case, after a few wrong trains and help from generous and friendly locals – which mostly involved the language of universally applicable gestures and nods – we finally found the Bear and Wolf Sanctuary on the outskirts of Budapest. As a bear, and giant troll killing machine, seeing my ursine brethren was one of the highlights of the trip. I was initially worried that this would be like some trips to the zoo, where bored and agitated animals leave me feeling a profound sense of loss – of nature being subverted by man’s will. 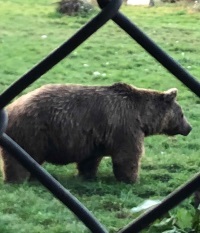 Fortunately, this sanctuary gave the the Bears and Wolves ample room to roam and hunt, and they were obviously happy and in their natural element. 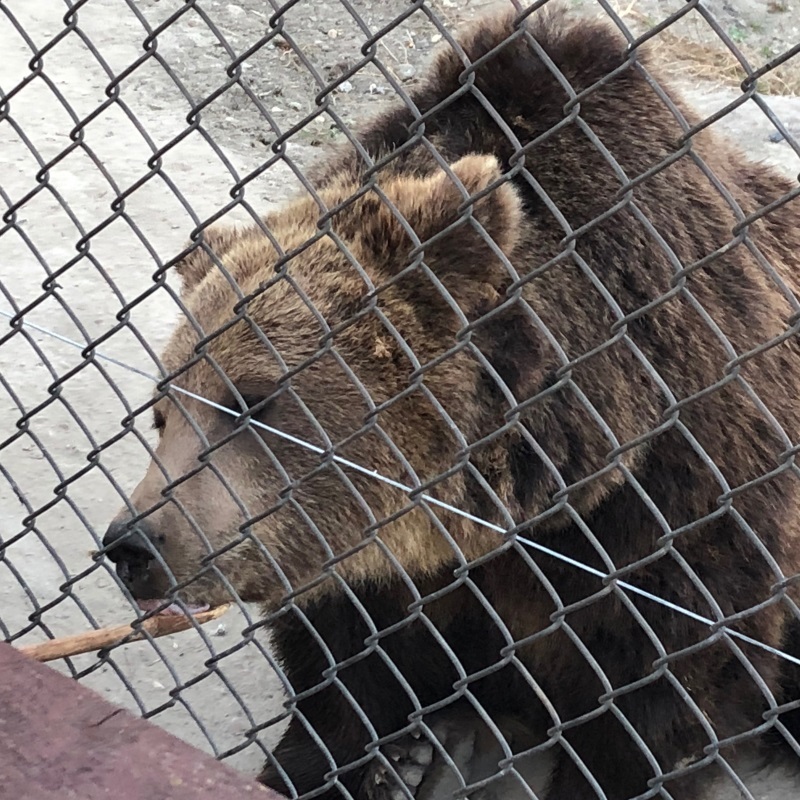 It brought joy to my ursine heart, seeing these majestic animals – many of them rescued from circuses – happy and healthy. 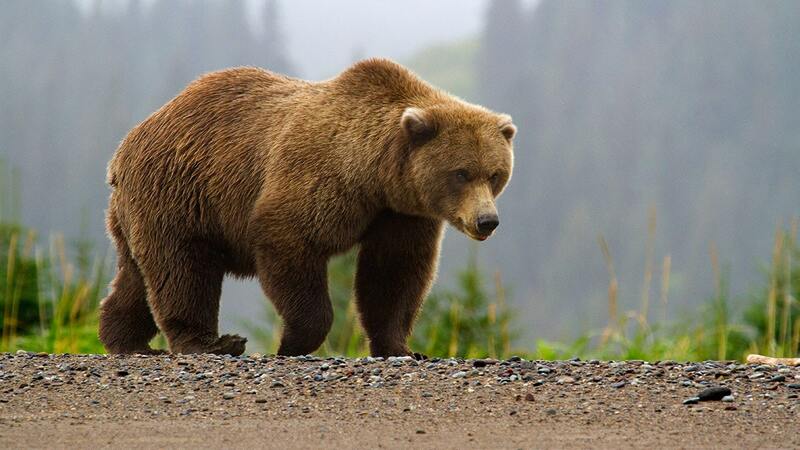 Many of the bears and wolves live in the same enclosures, which makes sense as they are not natural enemies. All the same, it was amusing to see just how little mind the full grown bears gave to packs of wolves – even circling around them. 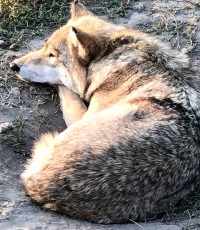 For anyone who has a chance to see these beautiful animals in that natural environments (ore as close to such as is practical), you should definitely do so. As a bonus for those wanting more Lord of the Rings-related content, here is a deck that I designed based on Hungary’s signature dish: Hungarian Goulash. The online world can be alienating. We interact with others through text and emojis – the lingua franca of the 21st century internet. Perhaps the occasional photo gives us some context but we are largely disconnecting from those with whom we share so much of our free time. This distance is compounded by the fact that we span the globe’s far-flung geography, speak a multitude of languages and regional dialects, and filter our life experiences through distinct cultural lenses. As social as human beings are, it’s a wonder we are able to form strong communities without a physical connection. I had the pleasure of attending Con of the Rings this last weekend, and it was a wonderful experience. Unfortunately, the Con came less than a week removed from our a lengthy trip to Central Europe, so I was jet lagged and exhausted. It was a joy to meet so many nice members of the community, but please accept my apologies if I seemed burdened by a condition attachment or two. 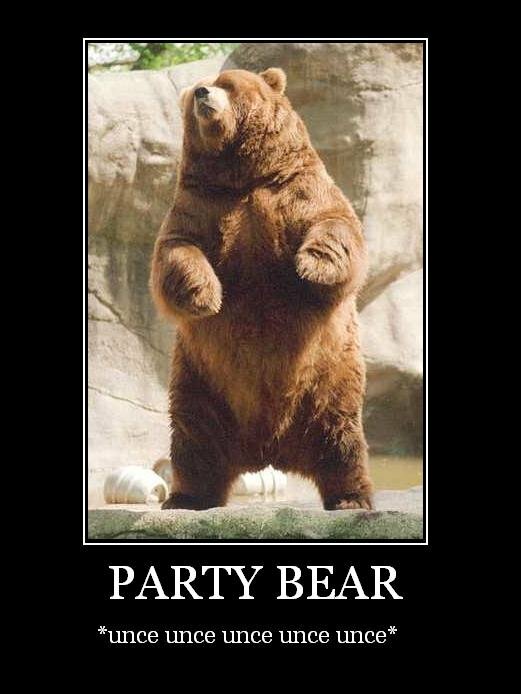 Next year I will be able plan around the Con and be a more energetic bear. I do want to thank everyone, especially the Minnesota natives, for their generosity and hospitality. Everyone in attendance served as exemplars for what makes this community such a joy. With members who live in four different time zones, it becomes a logistical challenge to assemble the Grey Company in the same place at the same time. For that matter, even coordinating a time when we all can record an episode of the podcast can be a struggle. 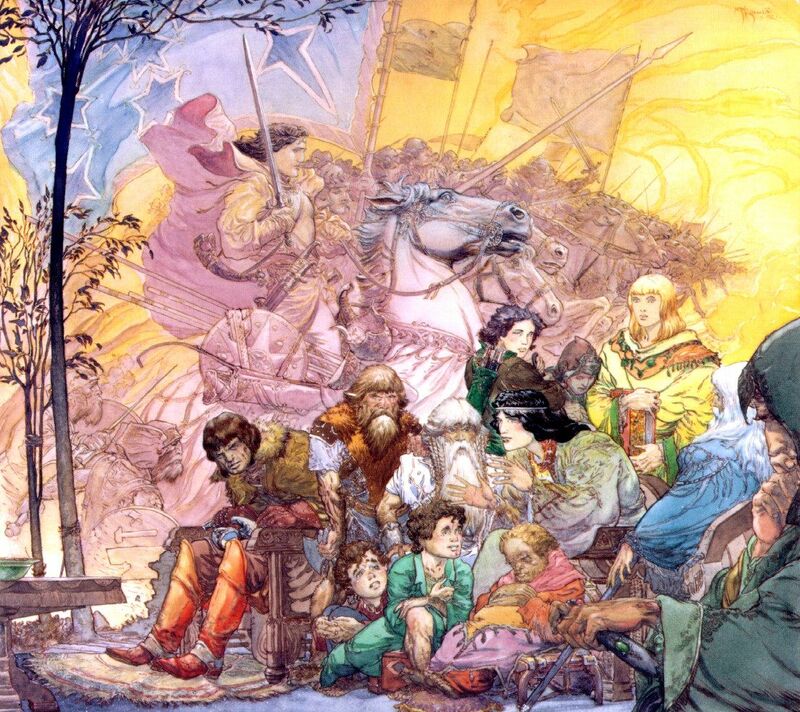 The Con of the Rings presented the perfect opportunity, and a reasonable geographic compromise, for the Grey Company to assemble. Unfortunately, Ian was not able to make it, so we carried around a life-sized Gríma doll and talked to it like he was there with us. This led to some awkward and confusing moments at karaoke, but Minneapolitans were surprisingly understanding. Aside from terrifying the natives, another highlight of the Con was running the latest version of my Bear Draft. As the card pool expands, and my experience with limited formats of Lord of the Rings improves, I’ve continued to make changes to the card list and the rules surrounding the draft. What follows is an overview of those changes and a description of how the draft is run. 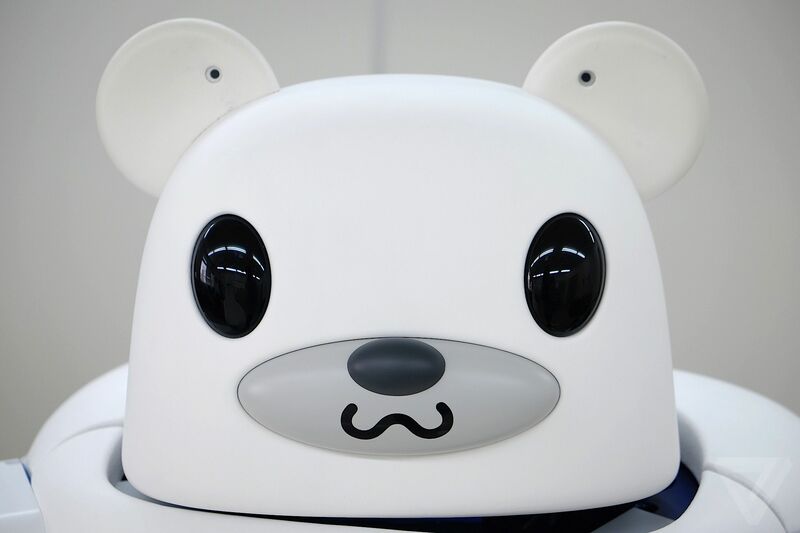 I want to send a special thanks to everyone who participated in this incarnation of the Bear Draft – I hope you all had as much fun playing it as I had in running it! Assuming 8 players in the draft, there will be a one round of drafting hero cards followed by 4 rounds of drafting player cards. Once all of the cards have been drafted, players will have the option of adding one set of signature cards to their deck, based on one of the heroes in their deck. For more information about signature cards, refer to my Signature Squads article for v3 of the Bear Draft. For the hero draft, each player will receive a randomized 9-card hero pack (consisting of the heroes listed below). After the one round of drafting their hero cards, each player will have 9 heroes. They do not need to choose which of those heroes will ultimately be in their deck, these extras are to provide them with options if they are unable to draft player cards which match a certain strategy. 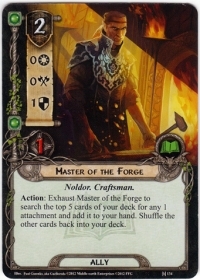 For example, if I draft Dain Ironfoot but am unable to draft many Dwarf allies, I can change my strategy and build a deck around one of my 8 other hero cards. As the card pool is becoming unwieldy as it is, I decided to remove resource smoothing Song cards from the card pool (Song of Battle, Song of Kings, Song of Travel, Song of Wisdom). Instead, I added the following house rule. 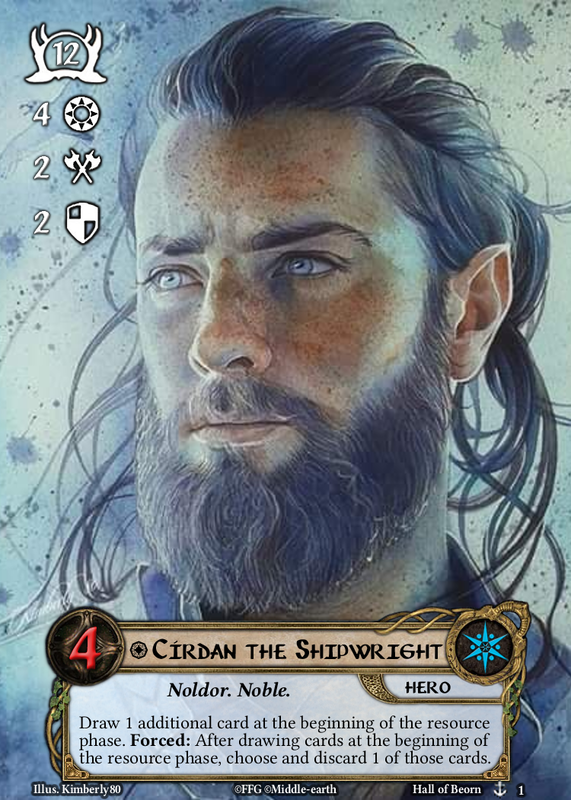 On your first turn, each player may optionally play one card from their hand face-down attached to one of their heroes for the cost of 1 resource. They choose a sphere, and that face down card acts as an attachment which grants that sphere to the attached hero. This was an elegant solution which allowed me to avoid cluttering the draft pool with a bunch of Song cards which inevitably get drafted last and excluded from many decks. Sam Gamgee: Bill the Pony, Rosie Cotton, Hobbit Cloak, Friend of Friends x2, Taste it Again! Eagles of the Misty M.
While the new power cards from the Dale archetype were joining the party, amid much fanfare, a group of less-heralded cards were slinking around the back of the house, to smoke pipes and specifically avoid their more gregarious companions. Silvan, and to a lesser extent Rohan decks built around Gamling, introduced the concept of bouncing allies into and out of play. While the Silvan deck take advantage of responses to their allies entering play, Rohan is more about assembling a toolbox of inexpensive allies, which can be discarded for useful effects. Gamling then returns these discarded allies to your hand, and Santa Théoden allows you to play them again at a discount. The Silvan variant of this strategy tends to be more consistent, as the allies are more potent thanks to a global boost from Celeborn, and their beneficial effects trigger immediately, rather than on discard like Rohan allies. Also, the Rohan approach can be expensive. 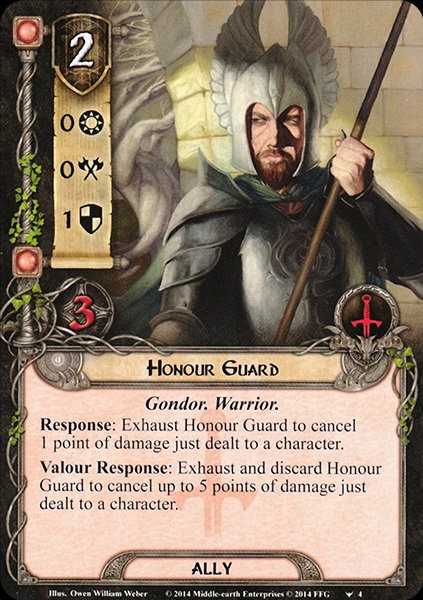 The errata to Horn of Gondor makes the prospect of paying for multiple allies difficult, unless you concede the point and just use Steward of Gondor. 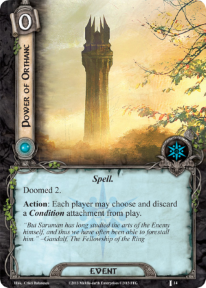 As a bear who plays more multiplayer than solo, I see Steward of Gondor as a last resort and try to limit its use to more thematic Gondor or Outlands decks. Ally bounce has existed in home form or another since the first cycle, there has never been an equivalent strategy for attachments – until now. Certainly, there are shenanigans around Second Breakfast and the Record attachments, but this doesn’t exactly qualify as “attachment bounce” as the attachments were never returned to your hand. Bard Son of Brand now allows players to return ally attachments to their hands, when that ally leaves play. This ability might at first seem odd, but it is important to incentivize players for investing so many resources and cards to boost their allies. Still, even the younger Bard’s ability is not a reliable form of “attachment bounce” as long as you are using allies which are designed to stay in play. It remains to be seen if some hybrid Dale/Rohan deck is feasible, where attachments are added to Rohan allies before they leave play. Since the discardable Rohan allies have feeble stat lines and possess little to no attachment synergy, I am skeptical of this approach. 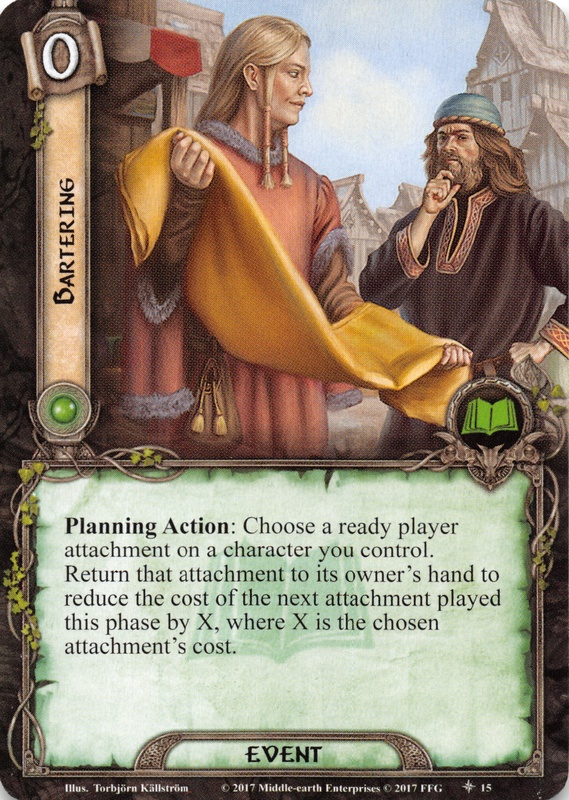 The card which immediately piqued my interest, and well and truly makes “attachment bounce” a viable strategy, is Bartering. As a bear who greatly enjoys creative deck-building challenges, this card is like finding a bonus honey cake that you forgot in the pantry. While there are many ways to take advantage of Bartering, this deck goes with the tried and true approach of using a record attachment. This deck starts the game with three Lore Hobbit heroes – each with a well-defined role. Folco Boffin lowers our starting threat into Secrecy range, giving us a round of two to play Resourceful at a discount. Pippin helps us to avoid enemy engagement in the early game, while we get our Ent army mustered. 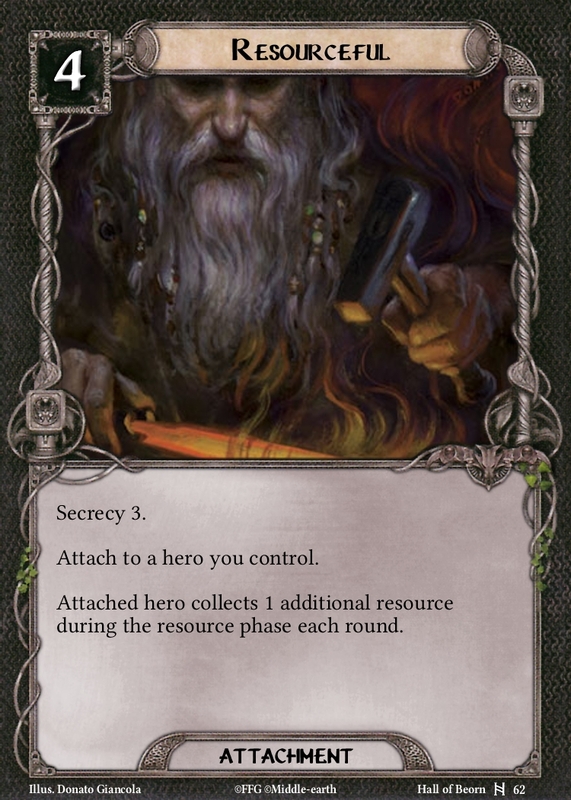 Once we have viable combat allies, he provides supplemental card draw via Hobbit-style optional engagement. 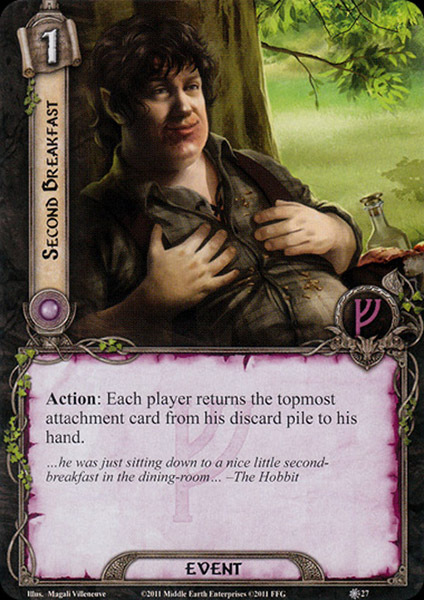 Good old Mr. Bilbo Baggins provides consistent card draw, even in the two player games for which this deck is best-suited. Anyone who has played a Secrecy deck can attest to just how critical it is to play your secrecy cards in the first two rounds. The abundance of card draw obviously helps to make this deck more consistent. At 4 cost, Resourceful is an expensive card to draw when you are sitting at 21 threat thanks to an ill-timed treachery. This is where Bartering and Scroll of Isildur get to shine. The Scroll only costs 1 resource to play from hand, as long as Folco hasn’t wandered off into the woods. Between the discount to Scroll of Isildur and the bonus card from Mithrandir’s Advice, this might be one of the few Folco decks which doesn’t necessarily want to immediately feed Folco to the abyss. 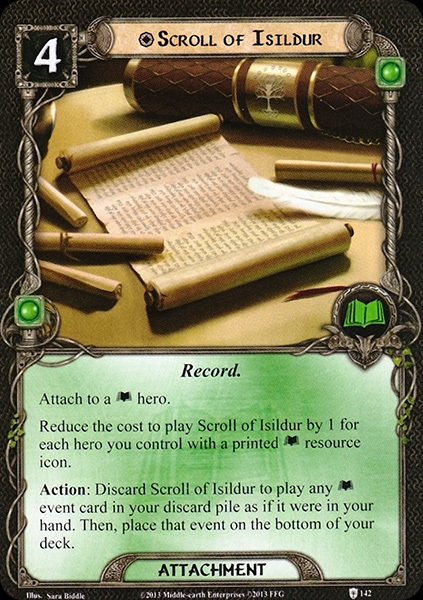 By returning our discounted Scroll of Isildur to our hand, Bartering then allows us to play a Resourceful for free – even when we are no longer in Secrecy. To be fair, the Scroll is not solely included for Bartering trickery. In a deck chalk-full of powerful Lore events, the Scroll can be quite useful in its own right. The goal is to get two copies of Resourceful (or one copy and a Necklace of Girion) as quickly as possible. 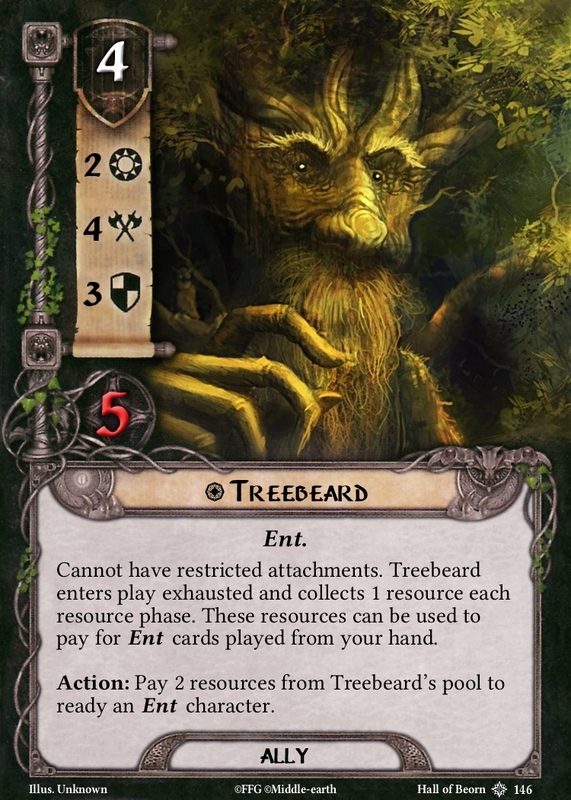 Ent allies are relatively inexpensive, and Treebeard ally helps us pay for them – especially useful for playing Tactics Ent allies before we’ve found our Song of Battle. Still, this deck relies heavily on Ents for both questing and combat, so it’s essential to avail ourselves of the strategic pillars of resource acceleration and card draw, to muster our ally army. This deck has more to offer than just haggling with the Sackville Baggins over spoons. Like most Ent decks, it has an inherent tempo to its power curve. Put another way, there will be rounds where you are vulnerable because your Ents come into play exhausted. This is where encounter control cards like The Hidden Way (proxied with The Evening Star in the RingsDB version of this deck) and Gildor’s Counsel are invaluable. As previously mentioned, this deck is designed for multiplayer games. Hobbits are squishy heroes under the best of circumstances, and while Ents are more than capable of protecting their halfling friends, this deck can start slowly. 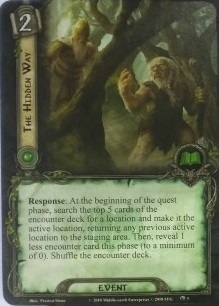 The ability to reduce the number of encounter cards revealed is critically important for a deck which is trying to shepard a lumbering army of tree-herders. Decklist built and published on RingsDB. The Wilds of Rhovanion marks the inception the Dale archetype, distinguished among deck styles in its focus on attachment-heavy decks and allies pulling serious weight while the heroes provide support. Dale has aspects in common with previous archetypes – for example, some Vilya builds were attachment heavy. Still, this is the first time in the game’s history when the focus of player card attachments shifts from heroes to allies. 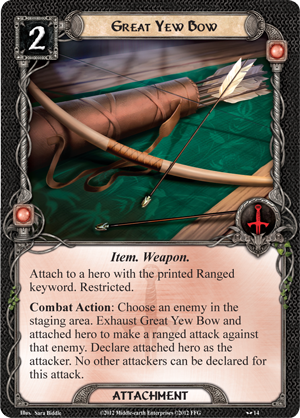 To help with deck-building, Hall of Beorn Card Search has a new category for ally attachments. 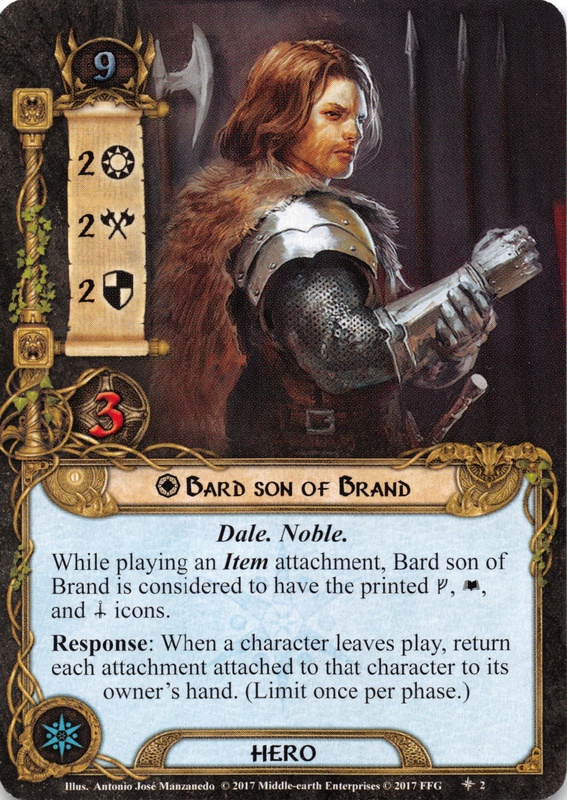 In addition, I’ve found the time to wrap my massive paws around a pen and ramble some musings about cards which may see new relevance – or increased usage – with the Dale archetypes. For obvious reasons, this version of the lady of the Golden Wood is overshadowed by the hero. To be clear, building a multiplayer deck around this card is a recipe for frustration. 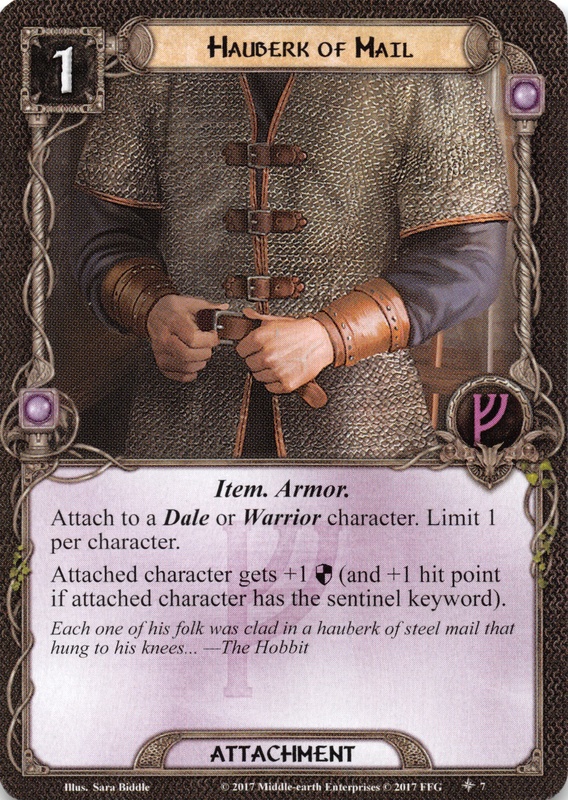 With the power of hero Galadriel, including in some of the popular Dale builds, there is a good chance your ally will never hit the table. All hope is not lost, however. Assuming you can get the ally into play, she can be an incredibly effective solution for finding your critical attachment and getting it into play quickly. I made excellent use of ally Galadriel in my Leading Dale to Glory deck; she helps get King of Dale up and running as quickly as possible. Full disclosure, that deck was more of a proof of concept to see if I could use Lord of Morthond outside of an Outlands deck. It should not by any means be considered standard for the archetype. On the contrary, there are several more consistent and thematically appropriate versions of the Dale deck which should be considered before my fanciful ursine thought experiments. All that said, Leadership is essentially a requirement in all Dale decks – because of the potency of Brand Son of Bain. Any deck with Leadership is going to have resource acceleration, at which point a three cost ally that drops amazing attachments into play for free starts to look pretty appealing. The fact that she quests for three and then soaks archery for a round is what I would call a nice bonus. With the draw power of Leadership Brand son of Bain, being able to stack the top of your deck even becomes useful. You can put the other attachments on top to give yourself maximal card draw. I’ve been a proponent of this card from the moment it was first spoiled. While filling up both restricted slots might at first seem a steep price, the stat boost that this card gives for only two resources makes it one of the most efficient attachments in the game. Besides, once the attached character has become effectively invincible, your wont often need a second attachment for them anyway. The bonus defense and hit points make this a natural fit for characters who spend most of their time on the defensive end of combat. However, don’t ignore the value it can bring to offensive allies. On characters like Warrior of Dale, the Weapon trait provides a net +2 attack bonus and Ranged. Also, his 5 total hit points make him an worthy archery soak. At first glance, having the requirement of attaching to a Warrior character might seem like a serious limitation. While this might be true in other archetypes, a Dale deck’s best targets for Raiment have the Warrior trait, so this is not at all an issue. Having Item, Weapon and Armor traits gives it the ultimate versatility. The most consistent decks feature cards which solve multiple problems. Many of the game’s best weapons cost only a single resource. 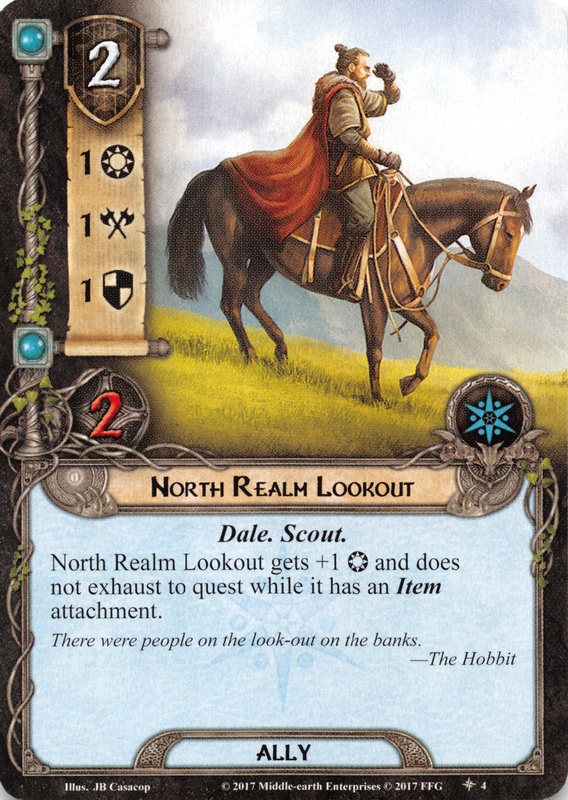 At twice the cost, Raiment carries the risk that you won’t have the ideal target in play, since Dale mostly wants to equip allies over heroes. Then we face a dilemma, attach it to a less ideal target or wait until we draw our Redwater Sentry. Thankfully, Dale lets you have your cake and eat it too. Long Lake Trader allows us to move a Raiment from character to another. I like to think of this as a Trader literally taking the shirt off some poor lookout’s back, only to hand the sweaty garment to an incredulous sentry, who looks on in disgust. Just when we become set in our ways, thinking the metagame has gone stale and all that is left is polishing around the edges – a new deluxe expansion comes and turns our world upside down again. Like a squad of football hooligans trashing an Ikea, The Wilds of Rhovanion overturned the status quo and broke our assumptions. 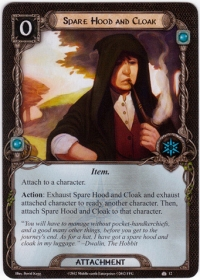 Outside of a few purpose-built questing powerhouses, which used it to take maximum advance of ally Faramir’s ability, Spare Hood and Cloak hasn’t seen much play in recent decks. Even with a recent uptick in usage from Dale decks, it still sits at 2 rings out of 5 based on RingsDB usage. Thanks to the strength of everyone’s new favorite Spirit ally, I have little doubt that Spare Hood and Cloak’s days as an over-looked card in the past. While he lacks the combat prowess of his brethren the Sentry and Warrior, North Realm Lookout has solid stats and excellent action advantage. My favorite attachment for the Lookout is Spare Hood and Cloak. Assuming you are running the new Brand Son of Bain, the Lookout with a Cloak will quest for 3 without exhausting. Once the quest phase is over, you can use him to help out with a counter attack – or even chump block in a pinch. Best of all, you have him ready with a cloak to help another character ready. When you have your Redwater Sentry girded with Raiment of War he becomes a most effective defender. More than one round of combat has been saved by exhausting a Lookout and passing his Spare Hood and Cloak to a Sentry, who can then defend another attack. Likewise, there are times in multiplayer when another player just needs one more ready character to finish off an engaged enemy or perform some other action. Being in a position to provide that aid makes Dale an wonderful support deck. 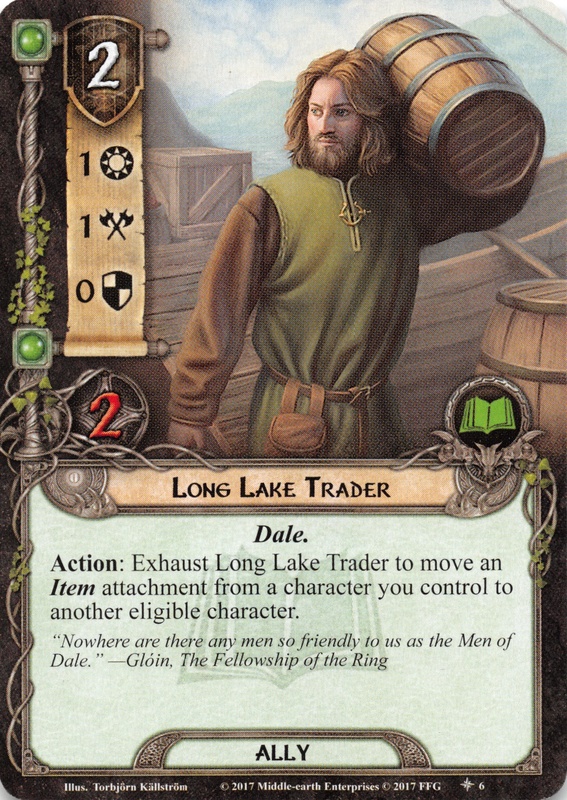 Remember, as long as you are passing the cloak between your own characters it will never get stuck, because you can always use a Long Lake Trader to move it back to your Lookout on the next turn. This choice should come as a surprise to no one. 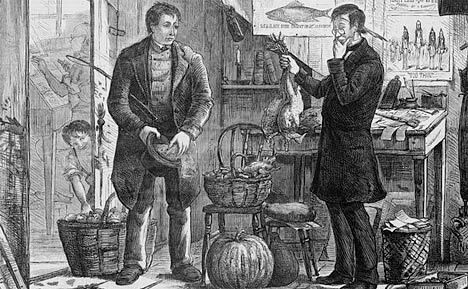 Long before the Dale archetype was even a twinkle in Caleb’s eye, Master of the Forge was one of the best repeatable search actions available. Any deck with attachments and access to Lore should seriously consider this paragon support ally. As if Master of the Forge wasn’t effective enough already, Dale had made him even stronger. 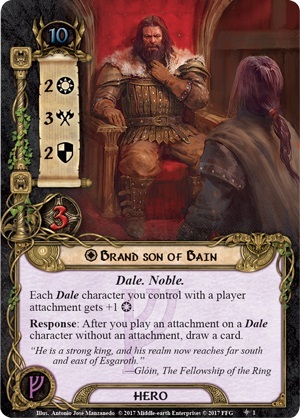 Not to beat the same drum, but Brand son of Bain’s card draw effect is critical to the Dale archetype. By fetching your best attachments each round, Master of the Forge essentially super-changes this already potent engine. The fact that there is no limit to the sphere, cost, or traits of the attachment fetched by Master of the Forge makes him perfect for Dale decks. On the rare instances when his effect fails to find an attachment (this should be rare in attachment-heavy Dale decks), you at least get to shuffle your deck to reset for the next round. In the early game, while you are still scrambling to get setup, you can use Master to search for 0 cost attachments. The first of these which you attach to each character will allow you to draw another card. By the mid-game, you should have a better established board presence, including some form of resource acceleration or cost reduction. At that point, you can use the Master to search for specific attachments to handle whatever challenge the quest is posing. A nasty condition attachment might mean you search for an Athelas. Perhaps the threat of location lock in the staging area requires location control like Arod, Thror’s Key, or Mariner’s Compass. An excess of archery or direct damage treacheries might necessitate Dunedain Remedy, Self Preservation, or Magic Ring. Last, but certainly not least, the mid and late game often bring boss enemies. These larger enemies often require extra armor and weapon attachments to support overmatched characters. The Master of the Forge is equally adept at retrieving the these weapons and attachments. At the risk of sounding facetious, Narya is an excellent fit in any deck with at least two allies. Like all rings of power, Narya’s potency comes at a cost. 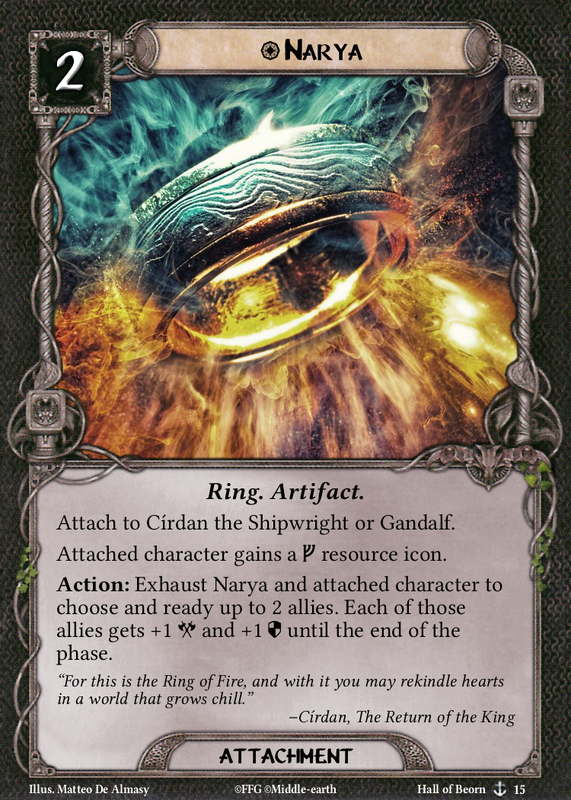 Only Círdan the Shipwright and Gandalf can wield this ring, which immediately eliminates this card as an option for many Dale decks. 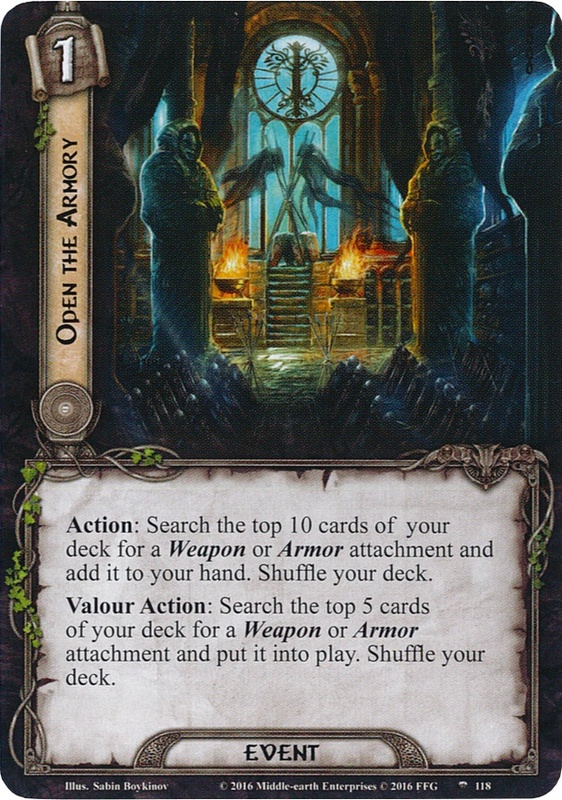 However, the repeatable ally readying provided by this card should seriously be considered for the Dale archetype – such is the potential for total board dominance. As a fan of multiplayer, it is worth pointing out that a “pure” Dale deck can always be paired with another deck which features the power of Narya, sitting across the table. One of the lesser acknowledged aspects of this ring is the granting of access to the Leadership sphere. Círdan is the natural target for Narya in multiplayer, unless you want to be Gandalf guy. With his access to the Spirit sphere, you have the foundation of a deck with access to Leadership and Spirit – the two most important spheres for many Dale decks. The stat boost provided by Narya is clearly intended for the combat phase (barring less common out-of-phase attacks). However, the readying effect should not be underestimated. The card pool is brimming with support allies like Lake Tower Trader, Master of the Forge, Imladris Stargazer, Warden of Healing and Errand Rider. Some rounds, you might have combat well in hand, but direct damage might have your allies on death’s door. Getting an extra use out of a Warden of Healing might be the key to your allies’ survival. Another favorite support ally which I like readying is Honour Guard. Because his ability is a response just make sure that you ready him between two different attacks – then he can reduce damage from each of them. An equipped Dale ally is a force to be reckoned with. Even if they fall to the enemy Bard son of Brand can return their attachments to your hand, sparing you from a serious tempo hit. The key here is getting the attachments into play, on your Dale allies, as quickly as possible. Redwater Sentry and Warrior of Dale are impressive allies when they have their respective armor and weapons attachments. Without this equipment, they’re fairly mediocre in their intended roles. Before I heap further praise, I must voice my skepticism of the Valour Action on this card. On its face, a free Weapon or Armor from the top 5 cards of your deck is clearly powerful. However, the Galadriel ally that I highlighted above can perform this same effect on turn one, with fewer limitations. 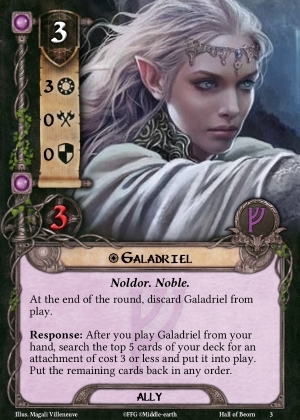 Obviously this card does not have the cost of Galadriel, but I would expect to have resource acceleration online by the late game so the cost difference is moot. The chimeric nature of Valour cards remains illusory to me. My decks feature many card with Valour effects, but I typically either use the main effect throughout the game, or I wait until the late game for the payoff of the Valour Effect. I don’t typically use both effects on the same “Valour” card. In the case of Open the Armory, this is not a problem. The ability to pull the most important Weapon or Armor from the top 10 cards of your deck, especially in the critical early rounds, is what makes this card so useful. 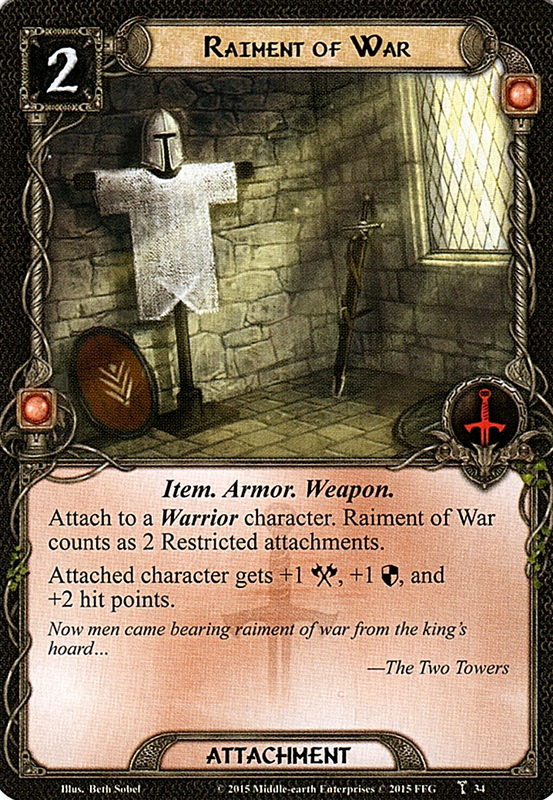 For those who have read this far, it should come as no surprise that my favorite target for this card is Raiment of War. As a bear who does not require clothing, I appreciate the irony that battle clothing is my favorite attachment. We had a special guest at the Austin LotR group tonight! Dan M., author of the Unfinished Trails blog, joined Terence and I for some epic three player games against The Wilds of Rhovanion. After a false start where my Dale deck refused to draw attachments, we switched out decks and were able to survive our Journey Up the Anduin and find our way after getting Lost in Mirkwood. After a couple of failed multiplayer attempts last week, against Journey Up the Anduin, I went ahead and designed a deck specifically for that quest. Caleb did a masterful job of making Journey 2.0 a well-balanced quest. Like its Core Set twin, Journey Up the Anduin attacks decks from multiple angles. Survival requires decks which can quest and hold their own in combat, along with bringing timely support tricks. This is easier said than done, because a variety of crippling encounter effects are actively undermining the most common deck strategies. 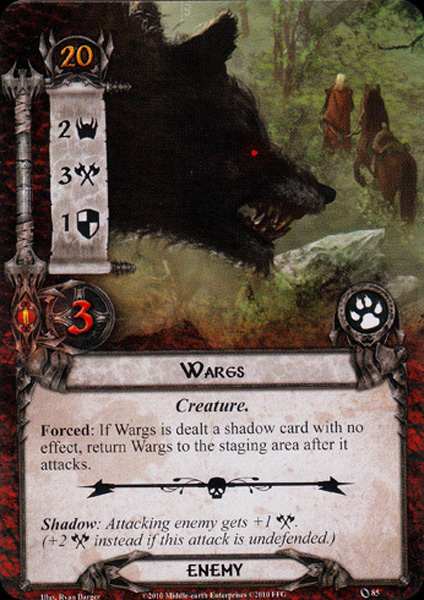 The Evil Creatures deck features familiar enemies like Goblin Sniper, Hill Troll, and the always obnoxious Wargs. Brutal treacheries bring direct damage, attachment discard, and can make you discard every card from your hand. Lastly, Hills of the Wilderland is an absolutely devastating counter to ally swarm decks. This last card is so powerful that I specifically brought 3 copies of Thror’s Key, just to counter it. I needed power questing, location control, readying, threat reduction, along with treachery and shadow cancellation. There aren’t many decks which feature all of these categories, so I went back to an archetype I haven’t played in a while. The steep demands of this quest provided my first opportunity to design a post-errata Caldara deck. At first glance, it looks like most typical Caldara decks (now that Fortune or Fate is useless), but there are a few notable differences. As mentioned above, Thror’s Key is essential for mitigating the terrible threat of Hills of Wilderland. In addition, Weighed Down can quickly wreck any strategy which relies on heroes with multiple powerful attachments. Many modern decks rely on hero attachments, including this incarnation of Caldara with Cirdan and Light of Valinor + Narya. Dan’s Dale deck is also at risk to be Weighed Down, with the aim being to load Brand Son of Bain with King of Dale and a host of low-cost attachments. As a safeguard, I added two copies of Power of Orthanc. Dan’s Dale deck performed admirably. 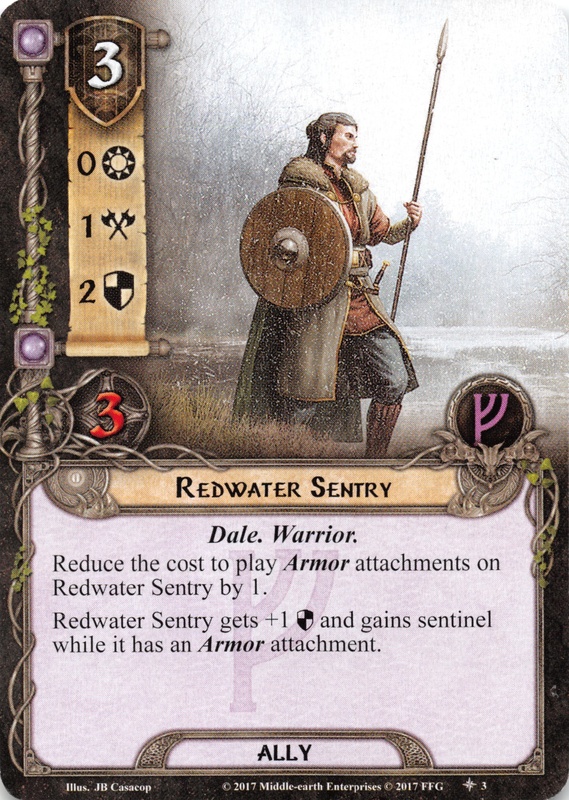 The Redwater Sentry, loaded with Raiment of War and a Hauberk of Mail, is an excellent ally for multiplayer games. Terence ran a Rohan staging area attack which featured Fastred and Dúnhere and complimented the other two decks well. In one notable round during while we were Lost in Mirkwood, the Lord of Dunharrow used two Spears of the Mark and an Unseen Strike to mow down a Mirkwood Patrol. Eliminating the larger, high engagement cost-enemies from the safety of the staging area makes the rest of combat much more manageable in multiplayer. This becomes especially important when the quest keeps finding ways to flood the staging area with enemies. The Dale archetype is impressive, so far. As long as you can draw King of Dale, the deck can field several powerful allies, for all facets of the game. As a bonus, it makes excellent use of previously under-used attachments like Spare Hood and Cloak. We had a blast playing the first two quests of The Wilds of Rhovanion, and I look forward to meeting up with Dan again in the future. Certain ideas a so splendid that you can’t help but wonder why they didn’t happen sooner. Four fine members of the community, known collectively as the Free Men of the North (Fishbaugh, Loophole, McDog3, and PeaceAndThought) have taken it upon themselves to coordinate a Lord of the Rings convention this year! It will take place at the FFG Games Center in Roseville Minnesota, on October 12th through 14th. I encourage all players who are interested to go check out their Kickstarter page. Mrs. Beorn and I will be traveling to Europe in the Fall, but we will be back just in time for the convention. 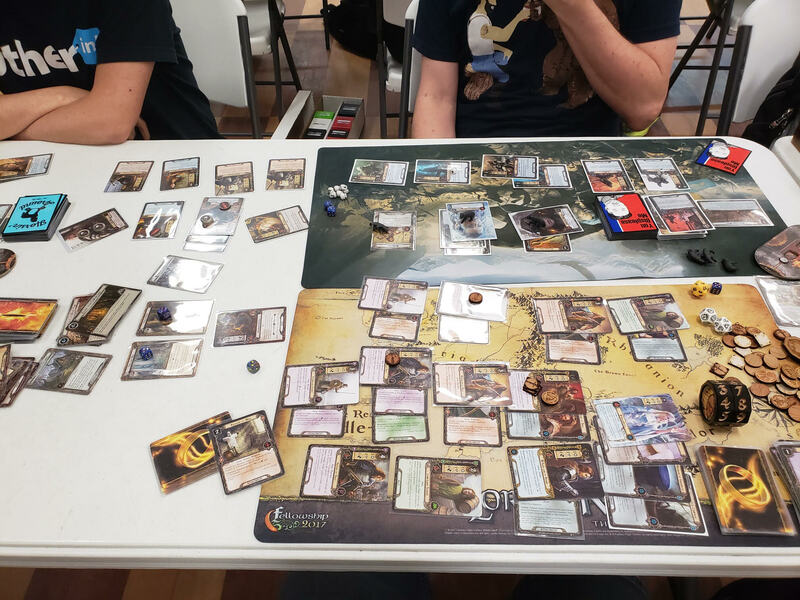 While GenCon has long since become too crowded for this old bear, I am excited by the prospect of a convention exclusively for The Lord of the Rings LCG. This is far and away the best community I’ve ever had the privilege of membership. I am happy to say that I will be traveling to Minnesota for the convention! For any who have a chance to go, I cannot emphasize enough just how fun it is to hang out with all of the fine people of this community. 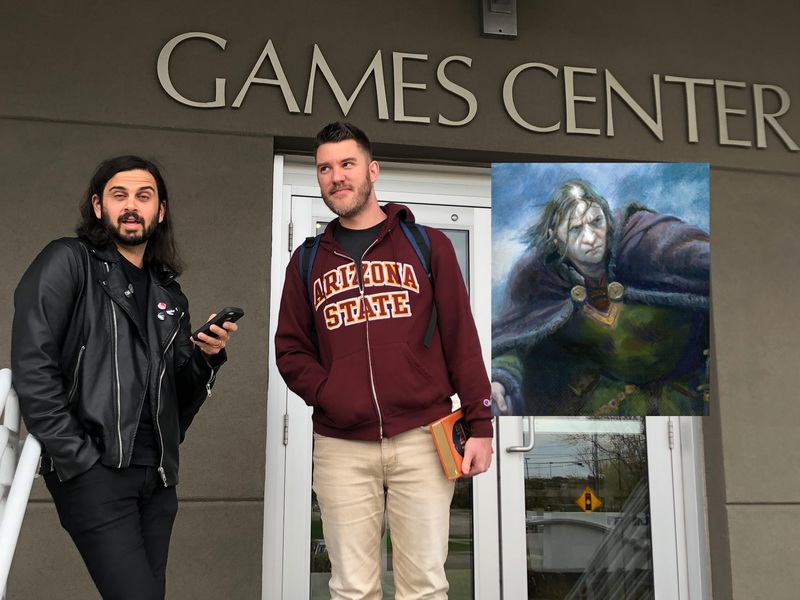 Given the location, it seems likely that we will have a chance to chat with the Caleb and others at FFG who have helped to make the game what it is. Even if you can’t go, contributing to the Kickstarter campaign is a nice way to show your support. Introducing Con of the Rings 2018, a fan-driven convention for LotR: LCG to be held at Fantasy Flight Games Center in Roseville, MN on October 12-14, 2018. Come join us as we take on a large-scale saga campaign, where groups will play their own part in the larger “fellowship” beating all the saga quests. 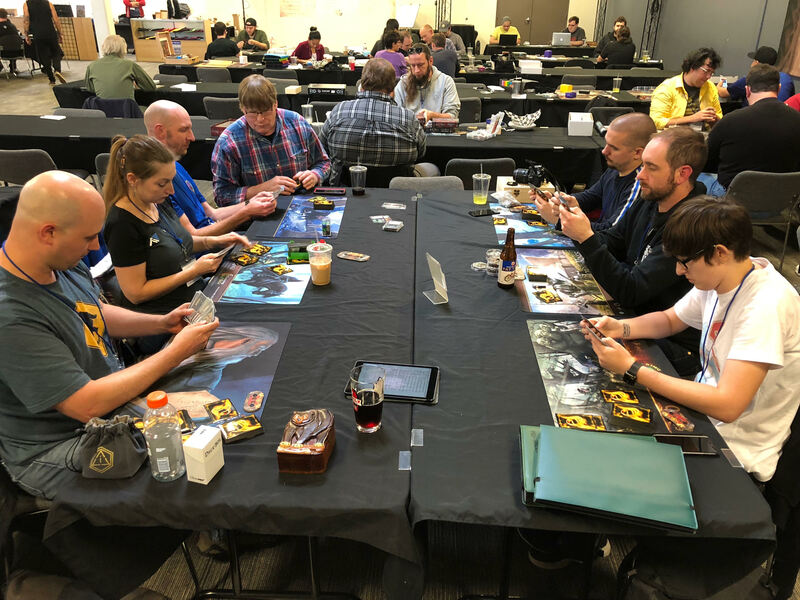 Other organized play events include the Bear Draft (cube draft format) and the new competitive format introduced in The Wizard’s Quest. But wait, there’s more! There will be daily raffles for FFG gift cards, exclusive con swag, and a special, live recording of Cardboard of the Rings! Any comments, questions, or concerns can be directed towards conoftherings@gmail.com or join us on the Cardboard of the Rings Discord and post in the #con-of-the-rings channel, which we will be monitoring.